After a crowd of commuters voiced their opinions at a BART Board of Directors meeting Thursday night for an extension to Livermore, an undecided board left the plan in limbo. 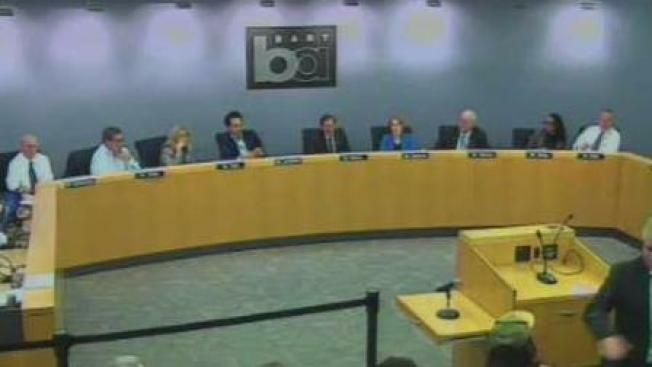 BART directors failed to reach an agreement on the project and voted to turn it over to the Tri-Valley Regional Rail Authority. Tri-Valley residents want the extension, but opponents say the billion-dollar price tag isn’t worth it. About 30 supporters packed a bus from Livermore and drove to Oakland to tell BART officials they are tired of waiting for their own station. A crowd of commuters gathered at a BART Board of Directors meeting in Oakland to voice their opinions for an extensions to Livermore. Tri-Valley residents want it, but opponents say the billion dollar price tag isn’t worth it. Melissa Colorado reports. "Livermore has been waiting for the last 45 years for the existing system to come to their town," Herb Hastings from Livermore said. Hastings has epilepsy and cannot drive because of his seizures. He relied on BART for all his transportation needs. He says Livermore residents have paid sales and property taxes for decades, money that has funded BART. Opponents argue the train system needs to focus on maintaining the current system, meaning spending money on repairs, making sure trains run on time and keep current stations clean and safe for riders. It’s been projected that an extension to Livermore would cost over $1 billion and take eight years to complete.